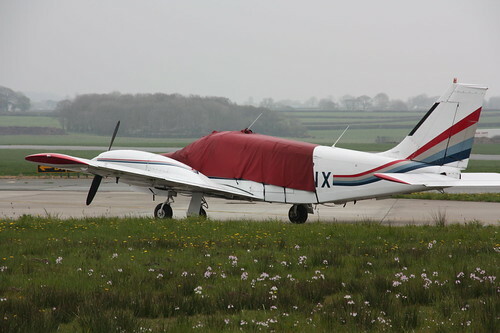 Haverfordwest Airport Movements: A thanks to Peter Hopkins Airport Manager for assistance and info. 2 Lynx and a Merlin Helicopters are due to visit the field today. Noted today on the apron was, G-BVYF PA31, and out on Stand 1 was G-SENX PA34. This is and has been nightstopping. Rescue169 SaR Seaking HAR3 was Noted calling up at 1426… Landing Hospital 1453 then Inbound for Fuel.